(CNN) They are overwhelmingly young and they are angry, and through the prism of social media, they see a world that is leaving them behind. These are the Iranians who have spontaneously hit the streets over the past week in protest against the country’s elites. 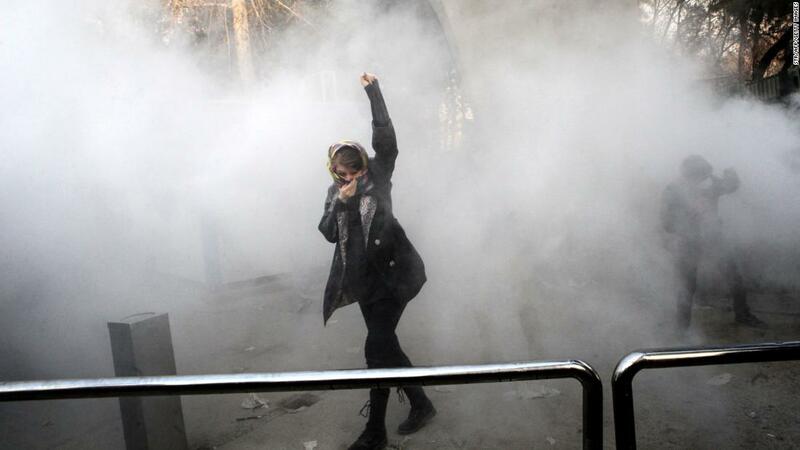 They have raised their voices in nearly every Iranian province over the past week. But what makes these protests uniquely challenging for authorities is that they are raw and inchoate — an outburst rather than a platform of demands. They have had multiple targets, including President Hassan Rouhani, Supreme Leader Ayatollah Ali Khamenei, the clergy and the powerful Iranian Revolutionary Guard Corps. One slogan was “The people are begging while the leader [Khamenei] reigns like god,” reflecting resentment of clerical power and wealth. But “death to Rouhani” also was heard, as was opposition to Iran’s military spending in Syria and Lebanon. Anyone with power seemed to be fair game. One of those involved in the 2009 protests, Reihane Taravati, said she and fellow activists were caught unawares by the latest unrest. “People are very angry because the economy has not improved the way they had expected … they are waiting to see results and for something to happen quickly improve their lives,” she told CNN. They are victims of a crisis of expectations, one that Rouhani helped create by casting the nuclear deal and the relaxation of international sanctions as a motor for growth and jobs. At his swearing-in ceremony last August, the President promised an “economic revolution” to create jobs for unemployed youth. The jobs crisis is more profound in Iran’s provinces and rural areas than it is in the capital. Djavad Salehi-Isfahani at the Brookings Institution has crunched official Iranian data for the year to March 2017 (the first full year since international sanctions were lifted) showing residents of Tehran did markedly better than those in rural or provincial centers. This is what Salehi-Isfahani describes as the “Rouhani effect,” an austerity program that has cut subsidies (for fuel especially) and attempted to encourage business. The middle class of Tehran has fared better than lower-income Iranians in the provinces, who now face a triple whammy: Inflated prices for staple goods such as eggs (aggravated by an outbreak of avian flu); the prospect of a roughly 50% hike in the price of gasoline; and the gutting of a cash transfer program for poorer families introduced in 2010. President Rouhani’s decision to cut the cash transfers — from 10% of total government spending to about 5% — may also have contributed to the recent unrest. It has certainly been much discussed in social media. For now, the authorities appear to have navigated the protests through a well-calibrated mix of accommodation, warnings and arrests — while stifling the social media channels through which word spread. The Interior Ministry boasted of the “accommodating manner in which security forces and people in power” responded. But the underlying causes of the discontent will be difficult to tackle, especially as the Trump administration encourages fresh sanctions against an economy where investment is stagnant and foreign expertise badly needed. These credit institutions, which are poorly regulated and in many cases illegal, offer high rates of interest but have little capital. Some are connected to the Revolutionary Guards. Analysts say the banking sector is not in much better shape, saddled with bad loans. As of March 2017, total debt owed by the state and private sectors to banks reached $346 billion — 25% more than in the previous year. A lot of this will eventually have to be written off, especially as banks frequently charge 20% and upward in interest. Rouhani himself alleged in December that a handful of fraudulent institutions controlling 25% of Iran’s currency market were wasting the lives of millions. The immediate focus will be on the 2018 budget now going through parliament. 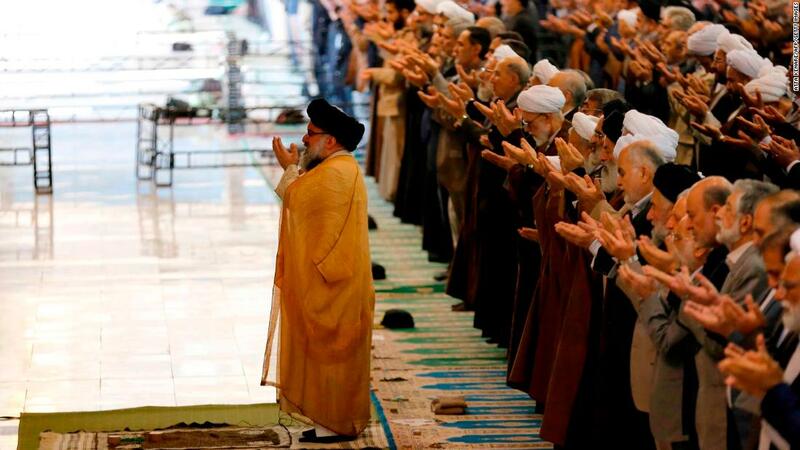 Will the generous grants to religious endowments and institutions be pared back? Will spending on security and intelligence be reined in? Will cuts to the cash transfer program for lower-income families be reversed? 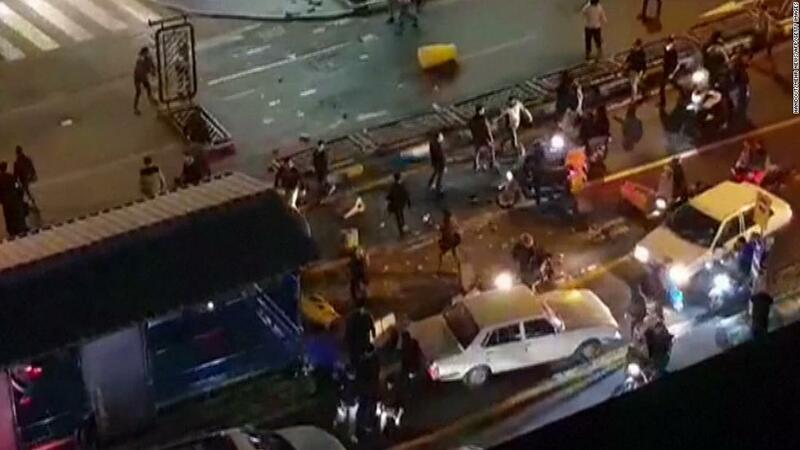 The protests may have ebbed, but they may also have provoked a more significant battle for the future of Iran.